The Town of Osoyoos requires Seasonal (June 15 - Labour Day) Park Ambassadors in the Corporate Service Department. These positions will patrol parks and trails throughout Osoyoos and work with the public to achieve compliance of both the Parks and Community Facilities Bylaw and the Animal Control Bylaw. These positions must have excellent communication skills and the ability to be mobile throughout the entire shift to attend all parks, including providing patrols on parks and trails Training and experience in conflict resolution is an asset. Class 5 B.C. Driver’s Licence is required. These positions will work afternoon shifts determined by the Bylaw Enforcement Supervisor). 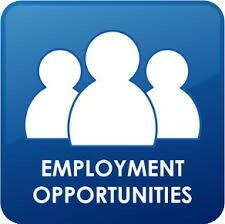 The rate of pay for these positions is $17.00 - $20.00 per hour plus 17% in lieu of benefits.